4 architectural drawings : photocopy ; 43 x 28 cm. 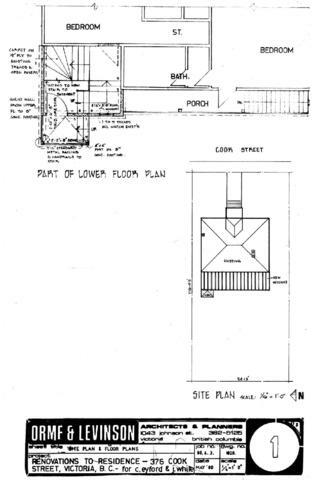 Consists of architectural plans for building at 376 Cook Street. Owner/client: C. Eyford and J. White.